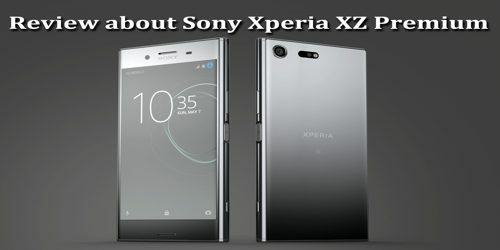 The Sony Xperia XZ Premium goes all in with features that the company dabbled in with recent offerings, making it a worthy consideration for anyone that is willing to overlook the lack of a fingerprint reader and basically non-existent carrier availability in the States. It boasts a market-leading 4K display, the latest high-end power under the hood and Sony’s professional photography heritage, including super slow motion capture, round the back. 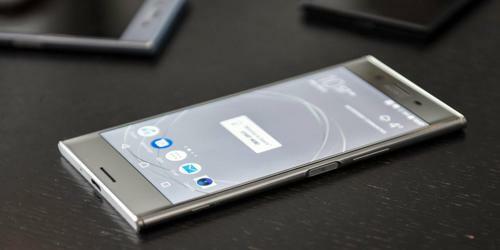 The Xperia XZ Premium is Sony’s flagship handset for 2017, and it has a suitably premium price of £649 (inc. VAT). 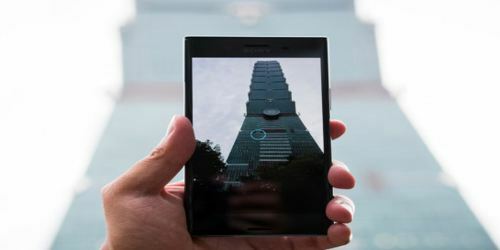 Its displays Sony’s characteristic blocky design. There’s no attempt to emulate the curves of the competition, and the handset looks and feels old fashioned. It almost seems as if Sony’s design team is stuck in a rut. 5.5in, 3840 x 2160, 807ppi IPS LCD display; 6,64GB RAM; 2.45GHz Snapdragon 835 octa-core CPU plus Adreno 540 GPU, 19MP/13MP cameras, Android 7.1, 3,230mAh battery, Fingerprint reader, MicroSD/Dual SIM card slot (on some variants), IP68 waterproof, 156 x 77 x 8mm, 195g. Design and Display – The top and bottom edges of the phone are made of metal, but the sides are plastic and while the handset is tough – it’s IP65/68 rated for water and dust resistance – it just doesn’t look premium grade. 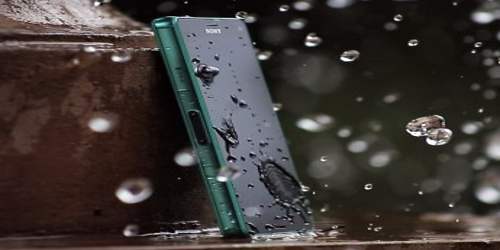 The IP rating signifies that the Xperia XZ Premium is ‘dust tight’ (IP6x) and protected against both ‘low pressure water spray’ (IPx5) and ‘the effects of continued immersion in water at depths greater than 1m’ (IPx8). Gorilla Glass 5 protects the screen, and the front and back are Sony’s signature material glass. The power button on the right of the handset also falls nicely under thumb when held in users’ right hand, or finger when in theirr left hand, and it’s enhanced by the inclusion of a fingerprint scanner built into the key, allowing them to unlock the phone without entering a pin, pattern or password. The XZ Premium has a 5.5-inch 4K display with HDR support. The LCD screen uses technology from its TVs to ramp up the colour and provide High Dynamic Range. On the flip side, 4K native content looked absolutely wonderful on the Xperia XZ Premium. The issue is that there is so little 4K enabled content out there that the promises of such of a display turn out to be a concept rather than an ultimately essential feature. It takes quite a bit of sleuthing all throughout YouTube and then in Amazon Prime Video to get 4K native content to take advantage of the high powered screen. Another positive with the Xperia XZ Premium is its IP68 dust and water resistance, which means it’ll survive a dip in the bath and heavy rain – just don’t go deep-sea diving. The IP protection only affords the phone protection up to depths of 1 meter in fresh water. 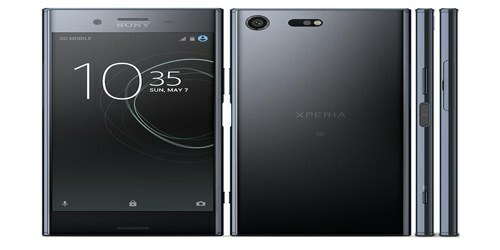 Audio and Camera – Sony offers stereo speakers, where most competitors are offering a single main speaker at the bottom of their phones. This extends to conference calls and even regular voice calls it’s still well usable for video calls but in noisy environments user struggled to hear on occasions more so than with competitors. A dedicated microphone in the body helps make all earbuds and headphones noise cancelling and 24-bit audio support means high-end playback is supported. Sony has a whole new camera system this year, dubbed Motion Eye, which is supposed to do fancy stuff like predictive capture and super slow-mo (Sony packs in a 19MP sensor that can capture 4K video and super slow motion video at a whopping 960fps and 13-megapixel resolution for its Selfie camera), but both of them are gimmicks. The marquee feature is the 720p video recorded at normal speed, at which point the user has to tap the capture button at ‘the right moment’ in order to initiate the high frame rate. Performance, Softwear and Other Features – The XZ Premium is another Snapdragon 835 enabled phone that comes with 4GB of RAM that is used to good effect mainly because of a slimmer Android skin. As for the rest of the inclusions, the microSD card slot can be used as an extra SIM tray in most markets, bolstering the already included 64GB of onboard storage. As a flagship handset it will not be a surprise that the Xperia XZ Premium runs on the latest Qualcomm Snapdragon 835 SoC, with an Adreno 540 GPU. There is 4GB of RAM and 64GB of internal storage, with MicroSD card support available if uesr need more. The Sony Xperia XZ Premium comes with a 3,230mAh non-removable battery packed inside its 7.9mm-thick body. After the hour and a half of video playback was up the XZ Premium had lost 32% of its battery a significant hit no doubt caused by the power hungry 4K display. The OS is Android 7.1, to which Sony ads myriad extras ranging from Sony’s own PlayStation app and Xperia Lounge to the Kobo e-reader app, Lifelog fitness app, and Amazon Shopping. If users like a vanilla Android experience, this might not be the phone for them. 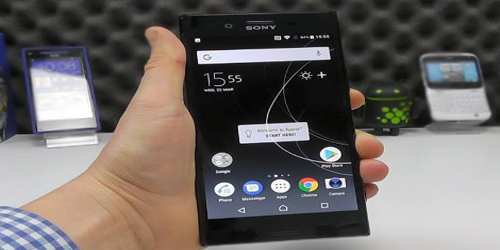 The Sony Xperia XZ Premium is a handset jam-packed full of features, and from its impressive 4K display and huge power under the hood to an excellent camera and solid battery life it has all the core ingredients of a top smartphone.